We’re down to the last few copies of our Playdate Dress pattern, and we want you to be able to pick up a copy before it goes out of print. While supplies last, take 50% off this pattern at checkout﻿. Update: we’ve now sold out of this pattern. How did I miss the fact that you were discontinuing this pattern? I have the smaller size, but wish I could buy the larger size!! This is one of my favorites! Just a note of fair warning: we will not be keeping all back list patterns in print forever. If you have a favorite pattern that you haven’t purchased, it’s not safe to assume that it will still be available in a few years. Make the purchase now. Better safe than sorry, right? 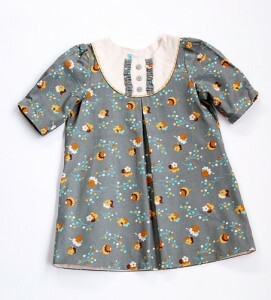 Is there any way I can get the Oliver + S Playdate Dress pattern? Please email me.. Thank You so much.Have a wonderful day.